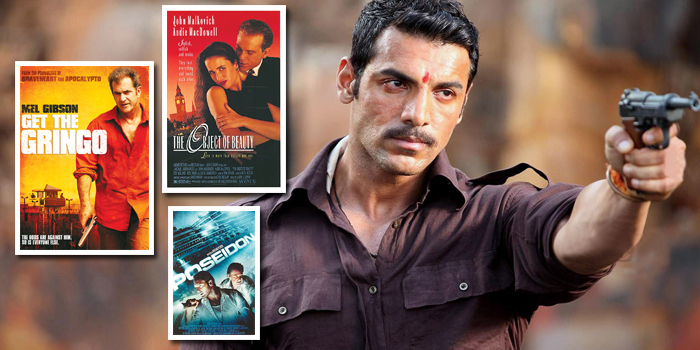 The movie is the saga about the rise and fall of dreaded Mumbai gangster Manya Surve (John Abraham) in the 1970s. It starts with Surve who is framed by the cops. He befriends a thug (Tusshar Kapoor) in prison, and escapes. He decides to stand up to the Haksar dons and form his own gang. Meanwhile, the cops, led by Aafaque Bagraan (Anil Kapoor) and his team, try to contain the gang wars by pitting one against the other. Based on a chapter in S Hussain Zaidia��s book From Dongri To Dubai. The film opens with a driver (Mel Gibson) fleeing from the police, and heading towards the Mexican border with a large amount of cash and an injured passenger. He crashes through the border fence, and is arrested by corrupt Mexican police officers. They incarcerate him in El Pueblito prison under false charges, keeping the cash they find in the car for themselves and cremating the second person who by then had died. As the only American incarcerated there, the driver becomes known as a�?the Gringoa��. The script was written by Mel Gibson. Jake (John Malkovich) and Tina (Andie MacDowell) are the American couple trapped in splendor at a London hotel after Jakea��s cocoa deal in a Third World County is stalled by revolutionary upheaval. Hitting rock bottom, they take stock of their assets and find onea��a $50,000 Henry Moore sculpture. They decide to fabricate a robbery and collect the insurance money, but a deaf maid (Rudi Davies) has fallen in love with the bust. Malkovicha��s upcoming movie is The Giacomo Variations, scheduled to release next year.